These Oatmeal Cream Pie Cheesecake Bars are the perfect combination of two of my favorite treats! Oatmeal Cream Pies are basically from the devil. I would eat them all day every day if my cholesterol would allow it. Unfortunately I’d like to live to see the age of 38…so I try and limit my cream pie consumption. To like 2 a day. That’s fair, right? I even made Homemade Oatmeal Cream Pies a while back. They are amazing. You should make them. Well, I decided to out-do the Oatmeal Cream Pie. And stuff it in a brown sugar cheesecake bar. Take THAT devil. Who’s wearing horns now? Heh. Oatmeal Cream Pie Cheesecake Bars. 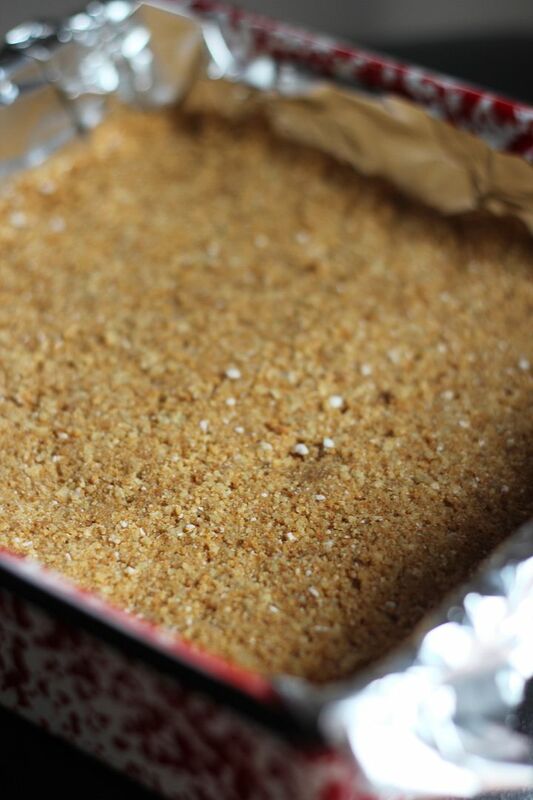 Instead of a graham cracker crust, we’re gonna do an oatmeal cookie crust. I have decided that life needs an oatmeal cookie crust. Grab some store bought oatmeal cookies. Or fine, make your own..whatever. Grind those up until they are a fine crumb. I used my blender because it was already on my counter. Mix the crumbs with some butter and press it evenly into a 9×9 foil-lined pan. Bake that for a few minutes. Meanwhile let’s talk about the cheesecake part. I amped it up a litte with some sweetened condensed milk. 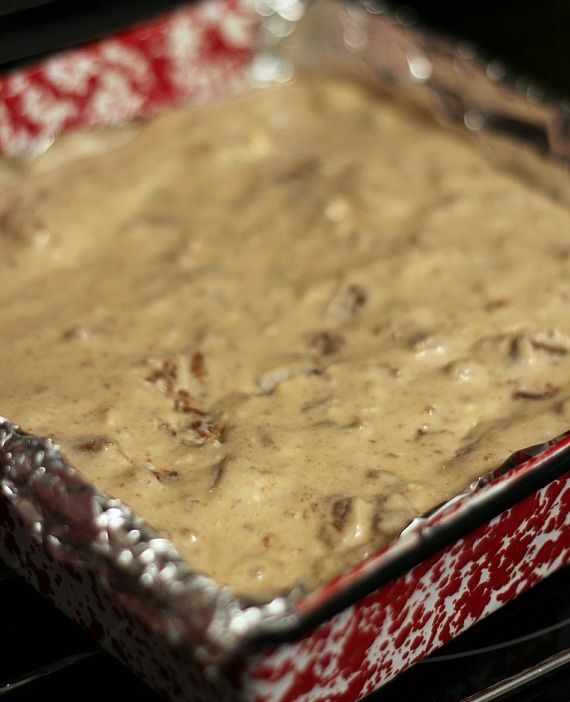 Bake it up and let it cool completely. Then chill it for at least 3 hours. The brown sugar cheesecake is yummy and the oatmeal cookies give it a dense chewiness. Also, my friend Karly decided to stuff Oatmeal Cream Pies into brownies yesterday, I think she climbed in my brain. Such a random coincidence! Line a 9×9 pan with foil and spray lightly with baking spray. In blender or food processor crush Oatmeal cookies until they are a fine crumb. 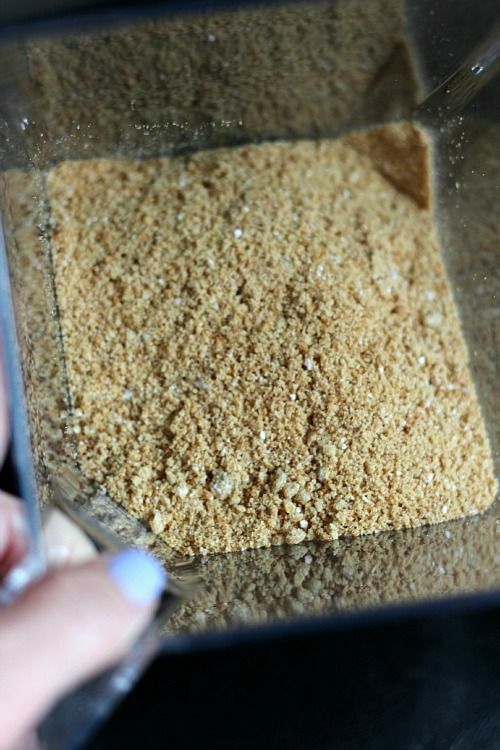 Mix cookie crumbs with melted butter and press firmly into prepared pan. Bake for 10-12 minutes until edges just start to get golden. Remove from oven. 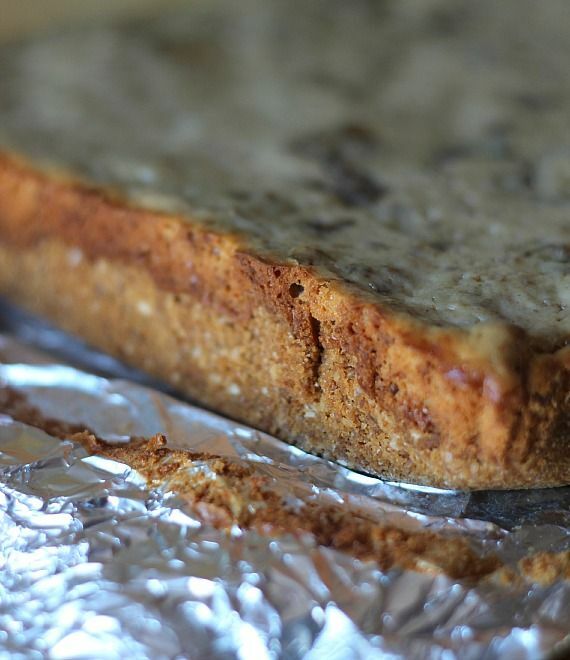 While crust is baking combine cream cheese, brown sugar and cinnamon in bowl of stand mixer and bet until smooth. 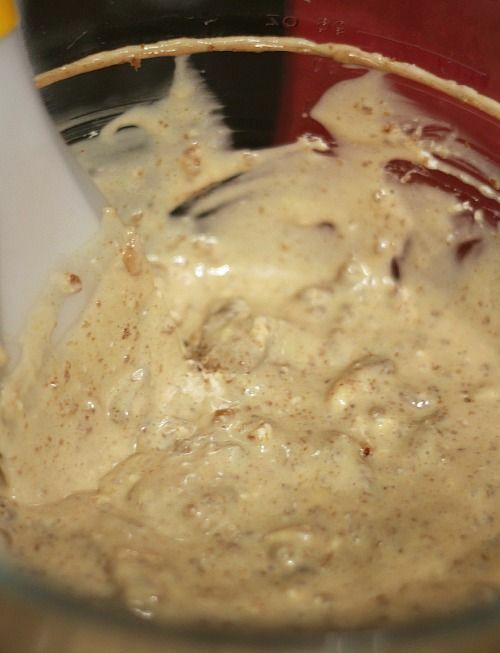 Turn mixer to low and add in eggs, sweetened condensed milk and vanilla, scraping sides of bowl when necessary. Turn mixer back up to medium and beat until combined and smooth. Fold in chopped Oatmeal Cream Pies. Pour mixture over crust and bake for an additional 35-40 minutes until cheesecake is just set. store airtight in refrigerator for up to 5 days. ha! I saw Karly’s recipe yesterday and thought maybe you two teamed up. Both recipes are awesome!!! I cannot remember the last time I have an oatmeal cream pie, and these look fantastic! These could seriously be dangerous!!! Also, I hate you for outdoing me in the cream pie department. These win the trophy in my imaginary oatmeal cream pie bake off that we just did. Oatmeal cream pies are pretty much the best thing ever, but combined WITH cheesecake!? Can’t even! LOL that is such a coincidence! Bookmarked both recipes as soon as I saw the words oatmeal cream pie! You and Karly are on the save food wavelength this week! This is such an amazing idea. Can’t wait to try these delicious babies! Chessecake is my number one waist line nemesis! These are too good to resist. Well I”m not sure these will help your cholesterol…but they WILL make you happier! These definitely look dangerously delicious! Combining oatmeal cream pies with cheesecake is absolutely brilliant! I seriously love oatmeal cream pies…but in cheesecake I puffy heart love them even more!!! How fun that both you and Karly stuffed your treats with the pies! Love both of them!! Are you kidding!! These are incredible. There are no words other than incredible, heavenly, get in my mouth, awesome, gorgeous and MUST MAKE NOW! 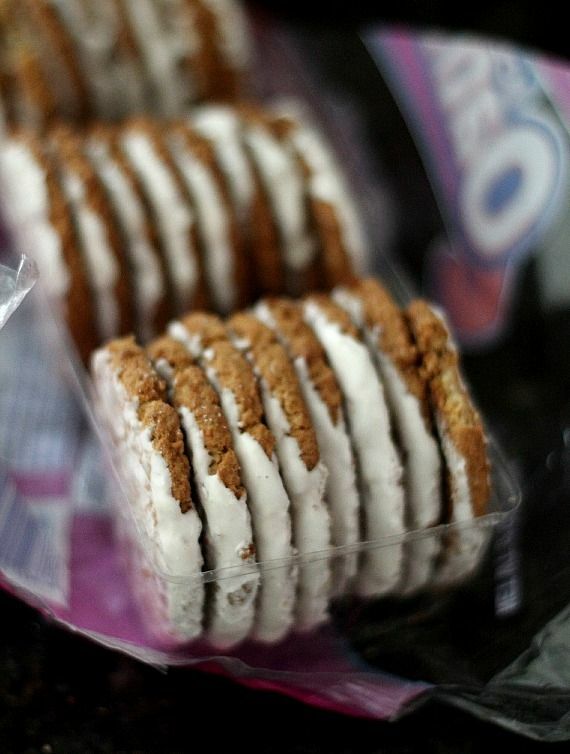 Oh my gosh I am DYING to have one of these, they look AMAZING and I love love love oatmeal cream pies! Oh my gosh, I am madly in love with oatmeal cream pies. These bars look incredible. I always wish they had oatmeal cream pies as a mix in at Coldstone, especially during the fall when they have pumpkin ice cream. What’s wrong with them? I cannot wait to try this recipe! My love for your blog just went up a couple notches! These looks and sound to die for – and now I’m thinking a trip to the store is in my very near future. I am SO into these! They look like straight up heaven! Damn! I need to get myself some oatmeal pies! these brownies have got game! I have to make these, have to! 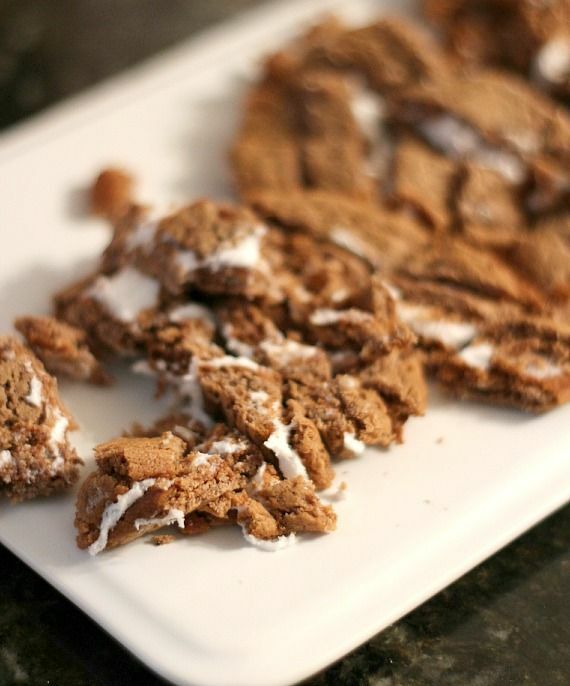 My grandma loved oatmeal cream pies and this would be a fun, updated twist! Good LAWD, Shelly. These are amazing! Oh my – these are calling my name – Oh my – need to run to the store. I have to bake for bingo tomorrow and may need to try these! 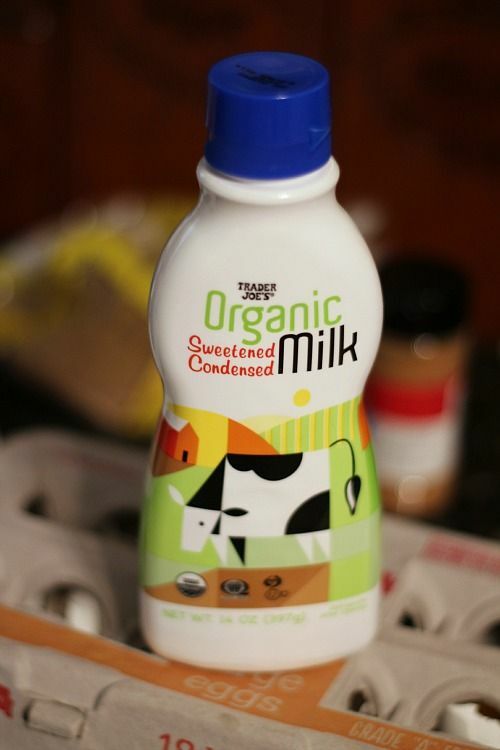 Is TJ’s sweetened condense milk really that good? Now this is what I want about now. Gorgeous bars!!!! Well, these just look absolutely delicious! Oatmeal cream pies are a weakness of mine. If they are in the house, I will eat them! these are bars look delicious! especially the corner piece! Great recipe! These sure look devilish! Now please pass the pan – I need these stat! Look so delicious. Yum Yum Yum. I wanna try this at home also. Ehh!!! Excited. Thanks for posting this kind of blog. Wowie these cheesecake bars look fabulous! These are ridiculous. In the best way possible. I have a secret love for those store bought iced oatmeal cookies. I want to make these for breakfast and lunch and dinner and brinner and brunch and linner. Have you seen the apple oatmeal cream pies? These would be amazing with those too!! 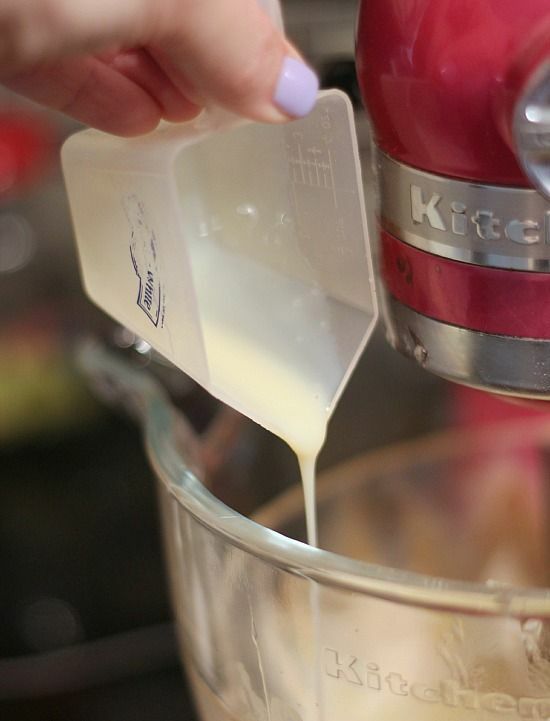 I abso-frcikin-lutely love the way you write….and bake. Marry me? No hanky panky. Even though men are a complete pain, I still hanky their panky. You, however; are my dream wife. Weird that.